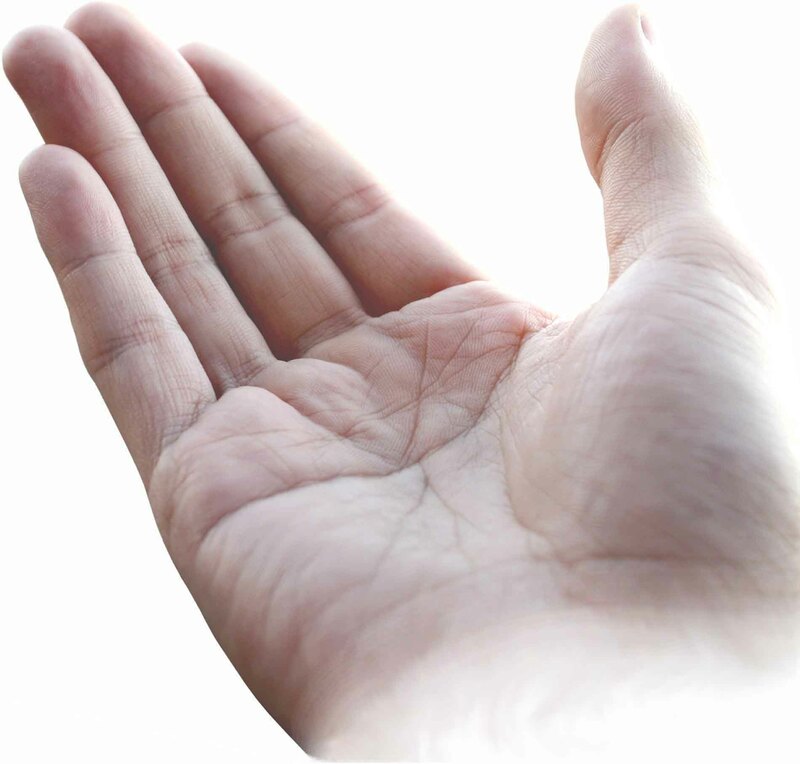 - HAND READING SIGNS: THEMES - Hands & Extraversion Hands & Neuroticism Hands & Autism Hands & Schizophrenia Hands & Cancer Hands & Diabetes Mellitus Hands & Psoriasis Hands & Rheumatoid Arthritis Hands & Down syndrome Hands & Fragile-X syndrome Hands & Marfan syndrome HAND READING MINI-COURSE! Article presented by: Beth Davis, The Hand Analyst, Inc. I'm going to keep today's article brief. If you're like me, your time is precious and you want your information to be both useful and easily digestible. I'll aim for both. Sure, I got a great education, no doubt. But that education was not required or necessary for doing what I love to do. Why even mention "Ivy League" grad? Who cares? Well, some people thinks it "means" something. Others could give a hoot. I'd like to share with you what I've come to think it means. 1. GO TO COLLEGE, GET A GREAT JOB. This is a common myth. If you get an advanced degree, it is statistically proven to up your earning potential. However, it is not indicator whatsoever of your ability to choose a profession that you enjoy. At my 10-year college reunion, many people said to me, "Wow. You have the most interesting profession. And you seem so happy." A lot of my college classmates - now doctors, lawyers, investment bankers - admitted to having more money but little time to enjoy life. Many of them had also put on a lot of weight and had big circles under their eyes. Sounds like fun to me - NOT!!! Success Strategy: Spend time searching for what you love. It WILL come if you're patient. I could have left college and stepped immediately into a high-paying, high-stress job. Instead, I worked odd jobs until I found hand analysis. When I encountered palmistry, I said this is it! It took me 12 years. And boy! Did people give me crap along the way. They'd say, "When are you going to DO something with your life? Especially with your education!!!" I said, "When I find it." I was busy finding out who I wanted to BE. Success Strategy: Get the credentials YOU NEED to do what you love. If you don't need the credentials, why waste time and money on school? Go for it! Steve Jobs, creator of the Apple computer, dropped out of college officially and then unofficially audited all the classes he wanted to take, absorbing the info as his own rate, then moving onto to the next class. Success Strategy: Follow your bliss. Consistency is highly over-rated. Finishing is only important if you're finishing what you value. It's a human need to be acknowledged for our accomplishments. Your neighbor has a green lawn and you hear all the compliments he gets. Maybe you've even complimented him yourself - so you strive to make your lawn greener. Your best friend is thinner than you are, so you start starving yourself. If you look at your life, I bet there is one area where you want to impress people. I'm more interested in impressing myself. I do this by attempting to live each day according to my own values. If a green lawn gave me happiness, I'd have one. But my yard is gravel, front and back, with plants indigenous to where I live. Why? I'd rather be writing this ezine to you than weeding or paying for a gardener. Another example. My car is paid for. This gives me much more happiness than impressing someone with my new BMW. However, I'd really love to drive a BMW. I think BMW's are snappy looking and fun to drive. And when I can pay cash for one, you'll see my driving it. (But I'm erring towards a hybrid car to honor my value of nature. Decisions, decisions.) In the meantime, my extra cash is going straight into my property investments. This is a personal choice. By choosing investing over monthly car payments, I'll soon have a lump sum of cash to buy my dream car. Success Strategy: Determine what you value in life. Is it passion, beauty, elegance, freedom? Make a list of 10 values. Then impress yourself by living those values. Go ahead! I dare you. Dare to take the path less traveled. My grandfather was successful. He had an eighth grade education, English was his second language and he died a millionaire. He was a joyful, exuberant man who played the spoons on his knee, wore a distinctive cap, and earned his keep as a carpenter - with a knack for property speculation. His guiding principles: Laugh often. Take nothing for granted. Remember to love. Success is defined by one thing: YOU. Your credentials or lack thereof do NOT define your success: YOU DO! What your mom or dad told you, what your teachers told you, what your church told you, etc. - none of these sources can determine your success. � 2007 The Hand Analyst, Inc. Beth Davis is "The Hand Analyst" Beth won the 2007-2008 Glazer-Kennedy Information Marketer of the Year Award. 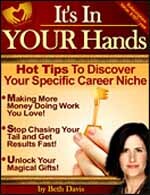 She�ll show you how your HANDS reveal the best way to market your business message.